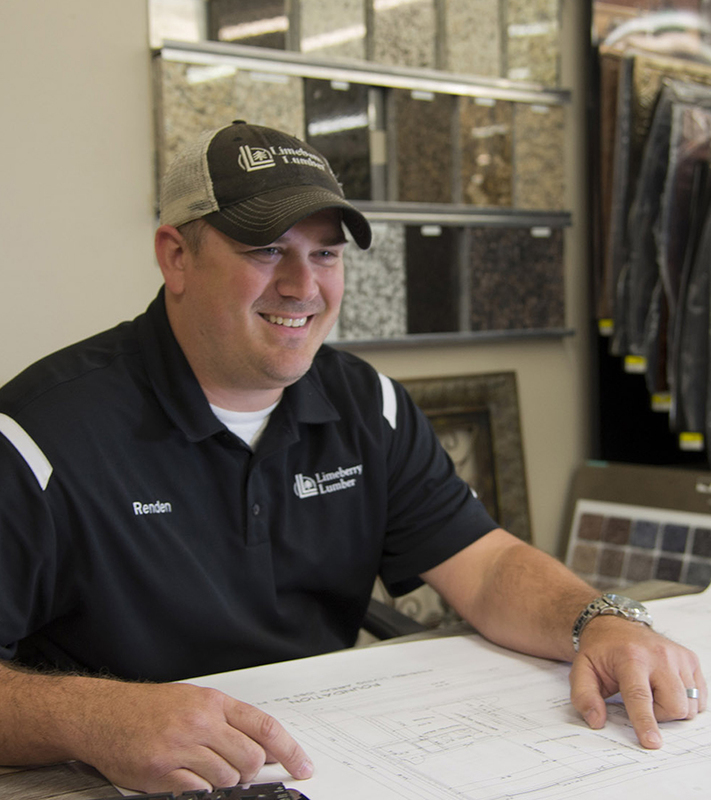 Limeberry Lumber & Home Center’s trained sales and estimating team can take your blueprints and give you a competitive price and materials list to make it easy for you to quote your customer. Building a shed or small addition or deck? Just give us the dimensions and specifications and we can also give you a list and quote. Our expert team is able to perform takeoffs right in the store. We offer help in estimating materials needed for smoothly and properly bidding the job. Our many services include lumber takeoff, engineered LVL and beam specifications, steel beam sizing, engineered wood i-joist design and sizing, roof and floor truss design, deck design, and more. Bring in your blueprints, sketches or ideas and let us help you quote it right. Renden Reynolds is Limeberry Lumber & Home Center’s Contractor Sales representative. With over 10+ years of experience in the industry, Renden provides quick and complete estimates for contractors in our community. Contact him today with details on your next project.